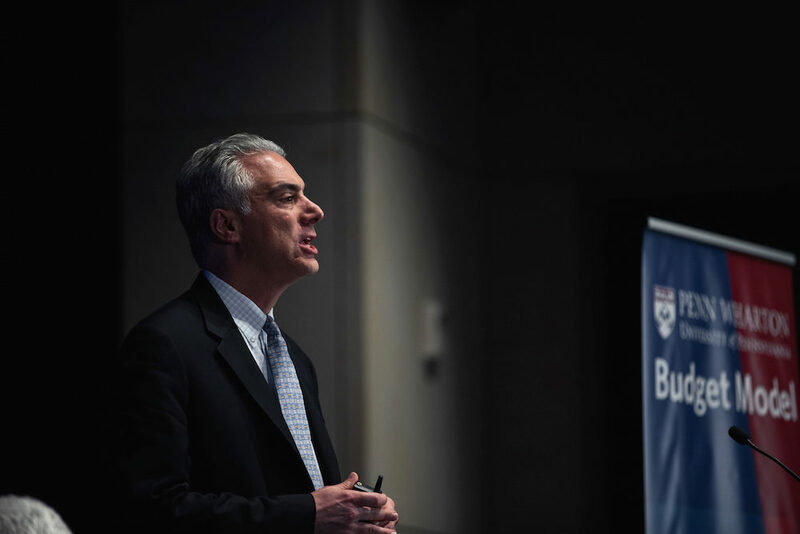 A summit of Penn Wharton Budget Model’s growing presence in D.C., the forum saw policymakers, business leaders, and academics examining the evolving tools that will make government more accessible to everyone. 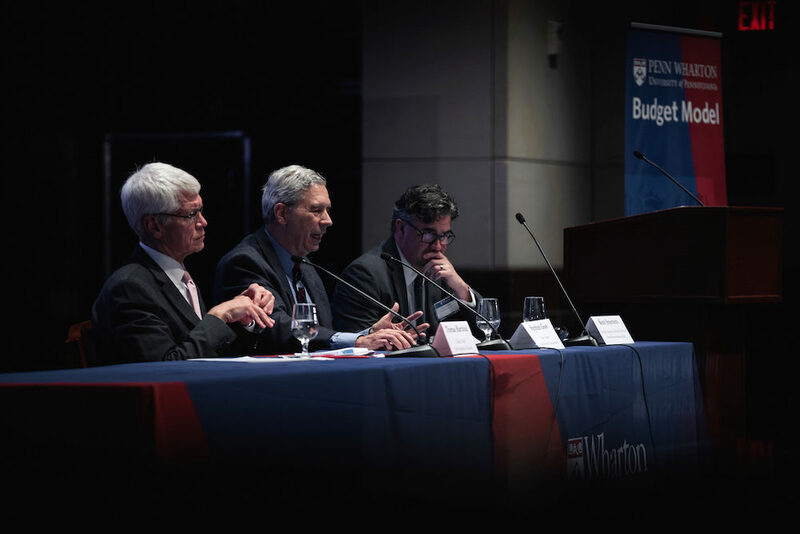 On June 22, Penn Wharton Budget Model (PWBM) hosted its first-ever Spring Policy Forum in the heart of U.S. policy reform. There, on Capitol Hill in Washington, D.C., over 300 congressional staffers, Wharton alumni, business leaders, academics and media professionals gathered to engage with Wharton professors and other industry and government experts as they presented ways to think about nonpartisan, research-based decision-making. 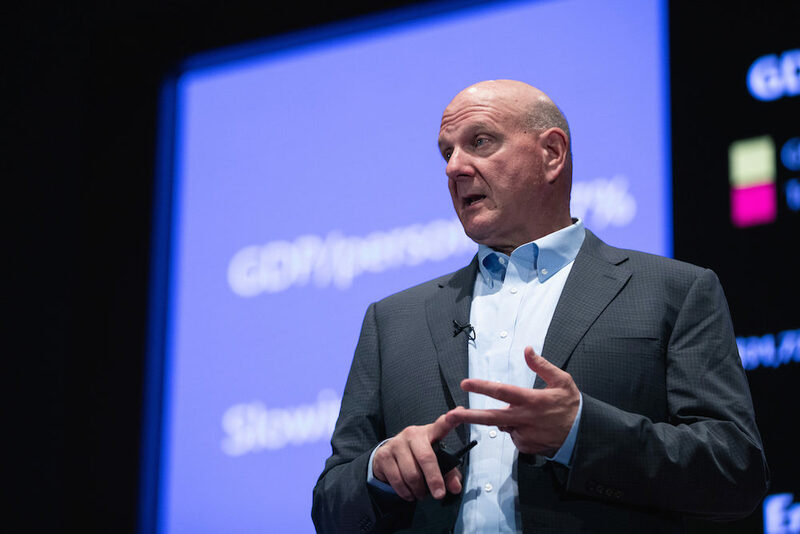 It was the precursor to day-long discussions on visualizing databases, advances in policy modeling, cybersecurity, public infrastructure, machine learning, and blockchain, as speakers — like former Microsoft CEO Steve Ballmer and Wharton Associate Professor of Legal Studies and Business Ethics Kevin Werbach — reviewed how government has handled contemporary issues and what improvements can be made moving forward. PWBM is advancing transparency through factual analytics based on the idea that regardless of political affiliation or field of study, evidence can still be a reliable constant. Advanced simulation tools on the PWBM website allow users to formulate analyses of public policies and their fiscal impact with just a few clicks, free of charge. Designed by a team of economists and research specialists, the “sandbox” is a collection of modules — modeling immigration to tax policy — that can predict up to thousands of outcomes using theoretical modeling, big data science, and cloud computing. Anyone on the Internet can take advantage of the tools, but they are especially useful for policymakers drafting legislation. As of now, PWBM has recorded over one million third-party simulations. The initiative is working to create simulations for education, healthcare, and more with the goal of becoming the U.S. government’s primary source for trustworthy policy projection. As more policymakers look to economic models for reliable analyses, PWBM remains steadfast in providing a neutral-facing platform that spends 80% of its work validating simulations against census data before projecting forwards. But there’s no such thing as a perfect, objective model — interpretation and debate are a given. “The key is to try to develop a model, given the data that are available, that makes the best use of those data to make the best possible projections you can,” said Stephen Goss, chief actuary of the U.S. Social Security Administration. The Penn Wharton Budget Model (PWBM) is a nonpartisan, research-based initiative that provides accurate, accessible and transparent economic analysis of public policy’s fiscal impact. Using the project’s research briefs and interactive budget tools enables analysis of legislation while it is drafted. PWBM serves as an honest broker at the intersection of business and public policy providing rigorous analysis without policy advocacy.